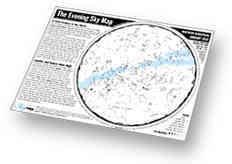 Here’s something that you need, or even if you don’t need it need it, you’ll probably find a use for: free monthly sky maps, with a chart on the first page and an observing list broken down by naked eye, binocular, and telescope objects on the second page. Everything on the second page is noted on the chart on the first page. Pretty ridiculously awesome. Expect me to reference these a lot in upcoming missions. Also, Scientific American has an in-depth report on Galileo and IYA2009. Worth checking out. And speaking of, I took my 4-year-old to what he calls the “Griffick Park Ugzerbatory” yesterday. 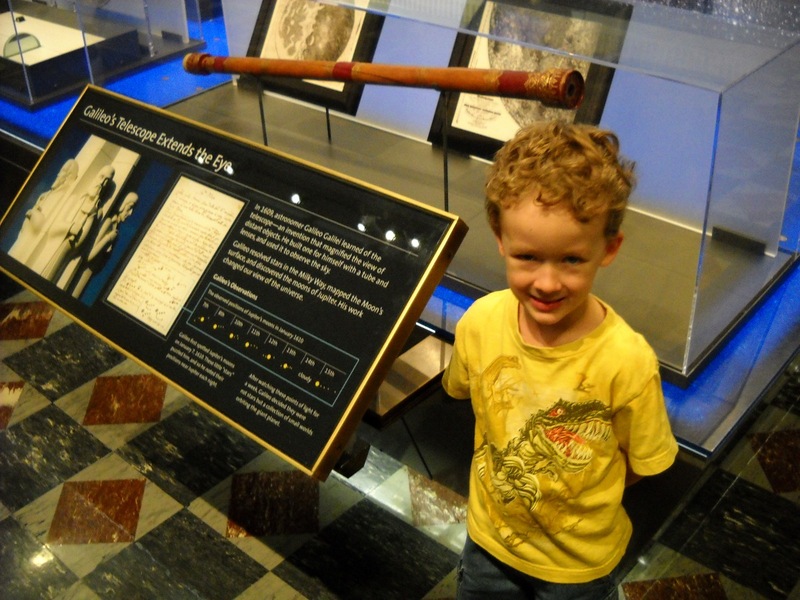 Here he is with a replica of Galileo’s telescope. Believe it or not, new mission coming soon. Hang in there. What a coincidence! Sarah and I were at Griffith Park on Saturday, for the first time. It’s a fantastic place (and the new hall of planets is pretty cool, with some neat demos and stuff that I haven’t seen elsewhere). And, it’s *free* (except for a planetarium show, of course). The planetarium show was decent, although we wished they had more of the actual stellarium and less of the projected video. . .